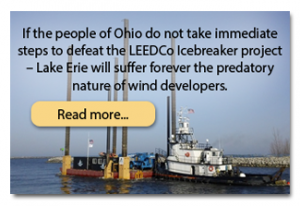 LETTER AND ATTACHMENT TO THE DOE AND OPSB REGARDING THE POSSIBLE 6 TURBINE PROJECT IN LAKE ERIE: WE HAVE LONG TERM EXPERIENCE WITH INDUSTRIAL WIND, AND WE HOPE YOU LISTEN. 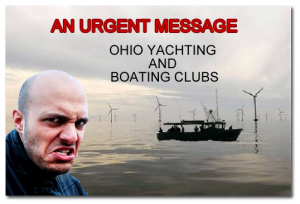 Although this communication comes from another country, as the negative effects from wind power developments have become global, I suggest that renders it both legitimate and necessary for you to carefully consider the reasons given for my objection. 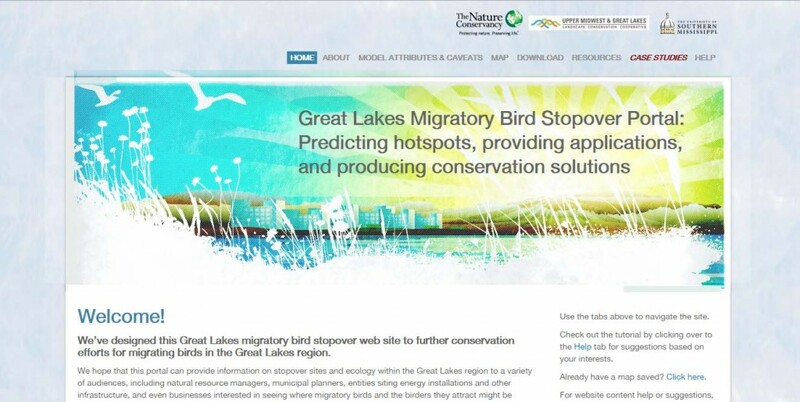 Like so many others, the Project Icebreaker Wind Turbine proposal in question as planned for Lake Erie fails to be justified due to unavoidable and negative effects on humans, avifauna (including insect populations). For example, why would you completely ignore your own North America Migratory Flyway protection legislation i.e. the Migratory Bird Treaty Act (MBTA) designed to ensure that governments do indeed protect such migratory paths? On the further environmental front, you cannot fail to be aware of the many instances of oil spills and leaks which occur during the operational maintenance of similar developments. Protection of water sources and water catchment areas against pollution are crucial wherever they occur. The Great Lakes are a prime example of this need and responsibility. We face this identical problem in Scotland and the UK and our government authority SEPA in charge of such matters has yet to answer questions arising from the attached ‘Request for action’ document. The contents are particularly relevant. Re. noise impacts.The World Health Organisation have recently confirmed receipt of two letters regarding adverse health effects from wind turbines. They are attached due to their relevance to this proposal and the human and wildlife aspects involved. I have also received confirmation that both have been passed to the Committee compiling the 2016 noise Guidelines, which will in due course be passed to the Canadian Government for their attention and use. Please note that the Open Letter was signed by a great many high ranking medical and engineering professionals, the most recent supporter being as indicated in the final attachment. This simply does not happen unless a real and serious set of problems have been recognised. Therefore with respect, myself and many others around the world will be trusting that in this instance, true leadership will be shown by the refusal of this proposal. That this Inquiry is both necessary and overdue is without doubt. Rising prices and supply threats have many threads reaching out over the lives of populations. 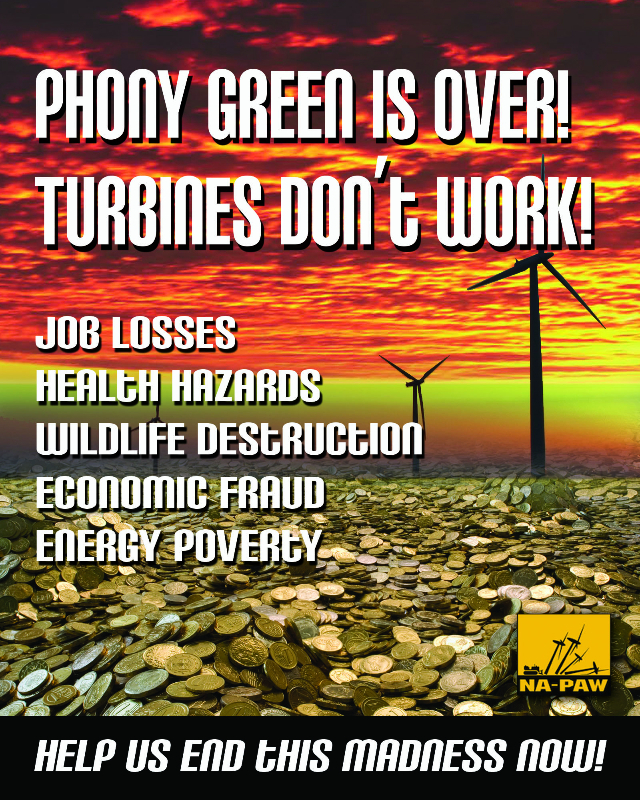 Major looming costs for the country and the NHS revolve around the ill health beginning to be caused to citizens from the installations of thousands of wind turbines throughout the country. Without swift remedial action centering on vastly improved turbine separation distances and the establishment of badly needed health monitoring programmes, this can only escalate. From new research and evidence provided to the World Health Organisation (WHO) via the letters to be found at: http://www.windsofjustice.org.uk/2016/08/update-on-windfarm-noise-issues-and-theguideline-development-group-for-the-who-environmental-noise-guidelines-for-the-european-region/ for the Inquiry members to examine, the urgent need for this aspect to be considered by their Lordships during their deliberations becomes clear to the point of being, with the greatest respect, an obligation. The Open Letter’s 148 signees in particular show the high level of medical and engineering professional concern supporting the requests it delivers. WHO officials have now acknowledged these and other reports received and have confirmed that the panel compiling the 2016 Noise Guidelines are in receipt. These Guidelines will include reference to wind power effects. Global government departments rely on these guidelines as the benchmark for their own rules and regulations. This is the relevant and important link to another eminent paper sent to the WHO from Mr.Santo Giorno about amplitude modulation: http://www.windsofjustice.org.uk/wpcontent/uploads/2016/08/WHO-Panel-Brief-2016-08-11-main-report.pdf . It stresses the totality (audible/non-audible) of effects of the energy peaks affecting all bodily structures and damaging of them, causing massive chronic stress with all negative health effects of that – in no time. Of particular relevance in respect of costs which are inextricably linked to financial, environmental and human impacts are these links http://eradicatingecocide.com/2016/09/16/3514/ and https://www.icc-cpi.int/itemsDocuments/20160915_OTP-Policy_Case-Selection_Eng.pdf . These involve the new UN – Hague ICC plans and principles. Also the Swedish network End Ecocide Sweden http://endecocide.se/ which is part of a global network which works for a global law against destruction of ecosystems. Aspects of crucial importance are the health hazards from wind turbines erected in water catchment areas now well documented and having to be addressed by SEPA. These are expertly covered in the ‘Request for Action’ see: http://www.windsofjustice.org.uk/2015/11/water-contamination-andwindfarm-construction-update-and-what-you-can-do-about-it/ . “The largest number of turbines may not be on Scottish Government(SG) publicly owned land, but as the biggest landowner, the SG is therefore the biggest single landlord of turbines in Scotland, not individual landowners. This is paid for by UK electricity consumers (>90% in England and Wales) going directly into SG coffers. So, there is a complete conflict of interest in that the organisation receiving direct benefit is also responsible for directly consenting applications; regardless of how much environmental damage is caused and whether the Aarhus Convention is adhered to or not. Engineers past and present correctly argue that our energy system needs to be engineer, not market led. The negative influence that vested interests and their lobbyists have had are now being paid for and it might take a really severe winter to show just how much. We all know how quickly lives can be lost when power systems fail, so that we have reached the point when ‘fingers’ are being crossed that a broken system can cope for another winter. This is completely unforgivable. Politicians of all persuasions must now recognise that the need for independence within any future body charged with construction of the country’s energy system, is paramount. 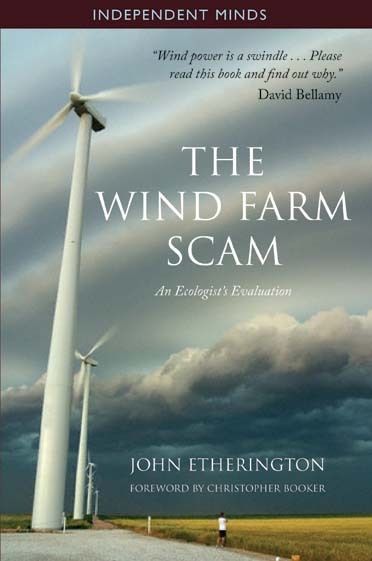 Even without an engineering background it is easy to appreciate that there is also, from an engineering perspective, a fundamental problem in the way the wind capacity required is calculated and this cannot fail to affect costs. This is that the assumptions are based on historic averages which will not be replicated in the future. This can be seen for example, from the Eirgrid response to the Asset Information Requirements (A.I.E.(E.I.R)). Engineering schools are reported to advise students that they should not use averages as you can ‘average’ yourself out of business. There are massive problems with forecasting output from all newer large wind turbines, particularly those with greater than 101 meter hub diameter in that they can have what is called a high Wind Over Power Ratio. This causes reverse torque and wrecks their transmission). To bring the Torque/WOPR Ratio down to its recommended level, 4.6, either the nominal power has to be raised or the cut-out speed lowered. This will reduce output in lower wind speed areas by up to 50%. Please note that Siemens have raised the nominal power in their new 3.2 and 3.4 megawatt wind turbines to 14 to 15 meters per second wind from 12 to 13 meters per second wind in their older 3.00 direct drives. Also it has been discovered that leading edge blade damage can commence after a couple of months. Siemens apparently no longer repair leading edge blade damage under warranty, or they are at least trying not to, saying that it is normal wear and tear. It is recognised that leading edge wear and tear will shorten the operating lives of these machines, which is causing a tussle between Siemens and Dong Energy as to whether leading edge damage is covered under warranty or not. Of importance is the research into issue of the layout of these larger wind turbines by Johns Hopkins/ Catholic University Louvain who suggest that they should be separated by a distance equal to 15 times their hub diameter to maximize output. As the output figures quoted by wind turbine manufacturers are per single wind turbine operating on its own – having wind turbines too close to one another can reduce output by 35%. In addition there is the issue of having too many wind turbines in a given area . The Jena Max Planck study of Kansas wind farms quantified a loss in energy availability from the first wind turbines to the last as a drop from 7 watts per metre squared to 1 watt per metre squared. Energy can only be use once. Also the Texas Tech University doppler radar study of wind turbulence from wind turbines show that a wind speed drop of 4 meters per second wind can extend for up to 4 kilometres. So the idea that whatever capacity figures quoted by Eirgrid, SONI ESB Networks etc., are actually close to what is needed is extremely questionable. What this Inquiry needs to prove is that despite concerns that they will not, their Lordships will indeed address the issues raised above in quantifying the capacity required. If the Inquiry is really addressing all aspects of costs, this should be unavoidable. It should be noted that in Scotland, due to current SNP policy, more power is being imported than before, as reported in http://www.scottishenergynews.com/lo-carbon-scottish-nuclear-andrenewable-energy-generate-70-of-scots-electricity/ . During the closing days of August 2016 and start of September, wind power generated a pathetic quantity of electricity. Out of metered 9000MW, generation was a tiny 480MW – on top of that Scotland continued to import some 600MW from England. http://ref.org.uk/energy-data/notes-on-wind-farm-constraint-payments has revealed the shocking facts on the escalating cost of constraints payments to wind operators. It is clearly unsustainable that according to the National Grid, turbine operators have received more than £255 million not to produce power since payments began in 2010. The next link provides more details of figures involved: http://www.bloomberg.com/news/articles/2016-08-23/hurricane-force-gusts-in-u-kprompt-record-payout-to-wind-farms . The following are points which are of prime importance for consideration: 1. Renewables advocates fail to address the concept of Energy Return on Energy Invested, ERoEI. The missing and required study would properly address the very serious implications as to the viability, which clearly impacts the economic arena, and the use of these technologies in the context of any serious attempts at decarbonisation. 2. The inherent intermittency of wind and solar PV, the enormous mechanical damage dealing with this has on real generation assets, and of course the impact of grid controllability. Due to the accepted and unavoidable need for the continuous provision of backup of intermittent renewables by fast-acting, therefore fossil-fired generation, such renewables are exposed as failing to be carbon neutral. So that finding leads us to examine what might be the amounts of the CO2 emissions generated during the entirety of a typical wind farm project’s life: 3. Fact 1. The actual operation of a wind farm is not CO2-emissions-free. If there are CO2 emissions resulting from any phase of the wind farm development, be it during construction, operation, or final demolition and site remediation, then, given that the emissions credit is now known to be lowered by the need for backup during operation, then it is even more important to identify any additional emissions debits that might arise during other phases of the lifetime of the plant. It is of crucial importance that their Lordships, as a result of this Inquiry, ensure that quantifying CO2 emissions resulting from wind farm construction so identified are urgently subjected to critical assessment by those such as civil engineers and others who are expert in project management. This need is enhanced due to the overlooked amounts (by wind protagonists) of CO2 that must necessarily be produced by wind turbines during both the generation of electricity and the prior civil works construction phase. Of relevance to remember is that wind turbines are made of some very exotic materials, some of which have very significant CO2 emissions costs in their extraction and refining, and, incidentally, whose mining poses an ongoing environmental catastrophe at those sites from which they are removed. For example, each wind turbine has bound up in its permanent magnets some amount of the rare-earth metal Neodymium. There is at least half a tonne, an estimate which is believed to be a low. Have the costs involved and energy and CO2 emissions required for its extraction and fabrication into rare-earth magnets been factored into the CO2 emissions burden of the wind farm by wind farm proponents? As has been widely reported and discussed, commercially-feasible deposits are mostly found in China, and reports abound of gross environmental and social damage to nearby human communities. When these reports are borne in mind, the sweeping statement that “Neodymium is as common as Copper” becomes yet another of the claims spread by renewables advocates which bear no relation to the truth. As those experienced in these matters have warned, an additional fact is that the extraction process is complex and dirty, and hence thoroughly toxic to both workers in extraction plants, and importantly, to the environment if exceptionally thorough environmental protection processes are not put in place. Rare earths nearly always occur with Uranium and Thorium. The presence of significant quantities of both, and particularly Uranium, means that not only will the tailings always be radioactive, but, there will be significant quantities of the Uranium and Thorium “daughter” elements, radioactive elements along the radioactive decay chain, some of which, such as Radium and Radon, are extremely unpleasant in relation to both occupational exposure and environmental contamination. Although all of these environmental and occupational health issues are addressed in properly-managed Uranium mining and Thorium deposit operations, this is not necessarily the case in other heavy-metal mining operations such as that for rare earths. This is due to the often lower assay levels, when the extraction of these radioactive elements becomes uneconomic – and so they are treated as waste products. “The wind industry requires an astounding amount of rare earth minerals, primarily neodymium and dysprosium, which are key components of the magnets used in modern wind turbines. Developed by GE (skip the welcome screen) in 1982, neodymium magnets were manufactured in many shapes and sizes for numerous purposes. One of their most common uses is in the generators of wind turbines. Estimates of the exact amount of rare earth minerals in wind turbines vary, but the numbers remain staggering. According to the Bulletin of Atomic Sciences, a 2 megawatt (MW) wind turbine contains about 800 pounds of neodymium and 130 pounds of dysprosium. The MIT study cited above estimates that a 2 MW wind turbine contains about 752 pounds of rare earth minerals. Wind energy supporters may claim that the radioactive waste released from the mining of Neodymium and Dysprosium is “less dangerous” than that in reactor spent fuel. The fact remains that the release into the environment of the former is completely uncontrolled while the latter is held indefinitely under very strict, international, safeguards. a. In order to ensure that the output of each wind turbine is not affected by turbulent wakes generated by its neighbours, the turbines have to be separated by a certain minimum distance to comply with the distance set by manufacturers for 3 MW turbines to approx. 500 metres. b. For a wind farm comprising 100 wind turbines, then, this minimum spacing of 500 metres requires a network of roads, with turbines set appropriately. That is a minimum total length of 50 kilometres, (i.e. 100 times 500 metres). This is the minimum length of the network of substantial roads within the wind farm. Importantly, this does not include the length of the access road back to the nearest main road. c. The first requirement in the building of 50 kilometres of roads is, after the necessary landscape impacts required for removal of vegetation (often affecting endangered species) have added to the need, is that of the large consumption of diesel fuel. The next main emissions-producing requirement is vast amounts of gravel. To produce the gravel, preferably granite has to be sourced, and again, preferably, the source of the rock should be near-at-hand. Even if turbines are eventually produced which avoid the need for these magnets, we have thousands of turbines already littering the entire UK which will require decommissioning and removal with all the attendant high costs involved for toxic materials. A further negative aspect of a design not using permanent magnets is its heavier weight, which consumes more power from the grid. In addition, a heavier wind turbine requires larger foundations, a stronger tower => even greater CO2 emissions. 1. To generate an average of 100 MW of erratic, unpredictable, chaotic, intermittent electricity and to dump it into the grid, a typical wind farm with a real capacity factor of 35 percent, such as occurs in Australia, generates in the order of at least some one hundred thousand tonnes of waste rock. This tonnage results from the building of the access roads within the wind farm and in the mining of certain elements that are essential to a wind farm’s operation. 2. All of this rock has to be crushed and transported, resulting in the burning of diesel fuel and thereby releasing significant amounts of CO2. Some of the rock, in addition, has to be chemically treated to extract essential elements such as Neodymium and Dysprosium, etc., Whether the source rocks contain radioactivity in large quantities or not (N.B. all rock contains radioactivity – that’s the principal source of natural, background radiation), all waste rock, and the quarries from which it is mined, constitute an environmental hazard. 3. One of the principal, universal, hazards is that of acid mine drainage: all rock contains significant quantities of sulphur and on contact with air and rainwater, this sulphur mineralisation oxidises to form both sulphurous (H2SO3) and sulphuric (H2SO4) acids. Needless to say, these are major environmental contaminants of waterways, etc., unless properly contained. The reality of the current situation relating to the many aspects of costs facing our own and global communities in respect of renewable energy and its primary exponent of wind power, is now beyond being merely worrying. Now is the time to recognise and react to the negative issues which are being compounded as wind power installations rise. It is hoped that the information outlined both here and from those who have also issued warnings, will help to clarify what may not have been fully appreciated. The ONLY alternative energy that coal and petro-hydrocarbons did not oust, because it did not exist in engineering terms, is nuclear. The proposition “nuclear energy is not renewable” was proven a lie by the technology that so hastily and therefore inexcusably destroyed so much of Nagasaki. But civilian nuclear reactors, even the plutonium breeding sort, do NOT produce bomb grade plutonium, and never have. See http://terrestrialenergy.com, GE/Hitachi’s PRISM, http://transatomicpower.com, and http://arcnuclear,com for reactor designs that can cleanly do without ALL carbon dioxide emitters, with demand response attributes as good as the best fossil carbon.